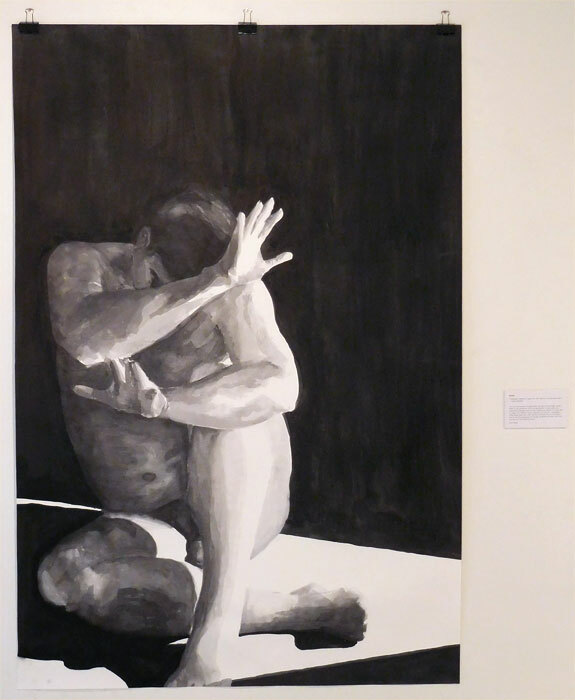 48″x72″ India ink wash on paper. Signed and titled in graphite pencil under the image. Additional images show development process of imagery and composition. Group Exhibition, Perspectives, California State University, Chico, CA.